What to make your subjects pop out of the photograph like what you see in this picture on the right side ? 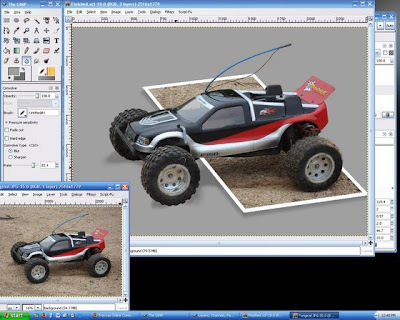 It can be done in few simple steps using either Adobe Photoshop or GIMP, the free Photoshop clone. Instructables has posted a step-by-step guide with illustration that can help you create a 3D Image effect - it looks as if the subject of a photo is popping out of the background. Shoot a picture or take an existing image, import it in Photoshop, apply some perspective and a couple of layer / mask effects and the result is just eye-popping and amazing. The tutorial writer suggests that you start with a good base photo will have a prominent subject with strong lines, and an uncluttered background.